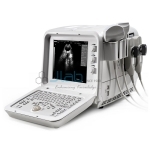 Jlab is renowned Ultra Sound Machines Manufacturer, Ultra Sound Machines Suppliers, Ultra Sound Machines Exporter, Hospital Surgical Equipments, Ultra Sound Machines India. 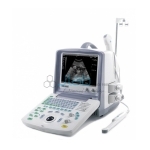 Ultrasound Machine is a diagnostic imaging technique based on the application of ultrasound. It is used to create an image of internal body structures such as tendons, muscles, joints, blood vessels, and internal organs. Its aim is often to find a source of a disease or to exclude pathology.